Everything you read on the Internet is true, right? Well when it’s coming from industry leading experts, I’d say it’s a safe bet. Mayo Clinic recently teamed up with Google to launch a new feature called “Google Symptom Search,” where experts provide short descriptions and advice for a wide range of medical issues. Let’s be honest, most of us Google any question that pops into our head when we need answers fast, so what better tool than the Symptom Search for instant medical advice? 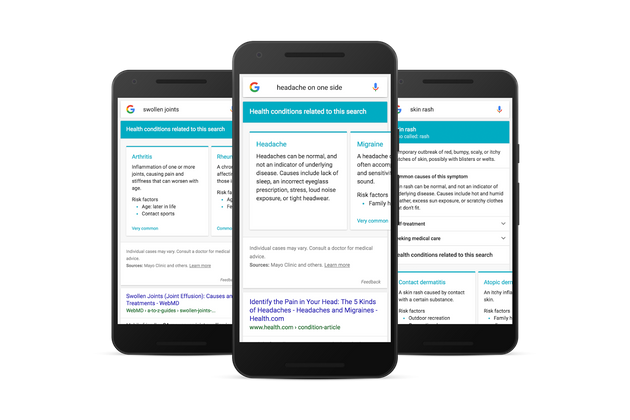 Google will navigate searches for information that includes details about how common a condition is, risk factors and suggestions on when to seek medical care. Check it out – this may save you from a minor freak out after you think you’ve matched your symptoms to the world’s rarest disease. Learn more here. Everything you read on the Internet is true, right?